As we age, the likelihood of experiencing memory problems increases: About 40% of people over the age of 65 have Age-Associated Memory Impairment (AAMI). In addition to Ginkgo Flavone Glycosides,over 60 different biologically active botanical compounds are naturally found in the Ginkgo leaf. Nature’s Origin Ginkgo Biloba is standardized to supply 24% Ginkgo Flavone Glycosides, assuring you get the herb’s legendary active ingredient. Why Take Nature’s Origin Ginkgo Biloba Extract? 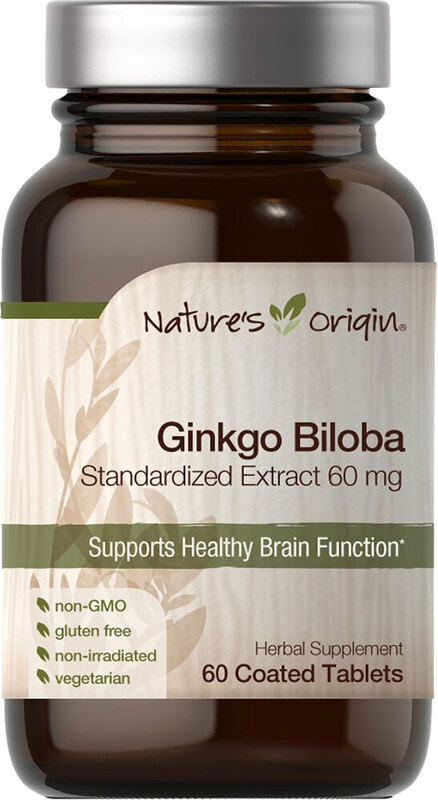 Nature’s Origin Refined Harvest supplies non-GMO Ginkgo Biloba extract, sourced from the ancient tree’s distinctive leaf and loaded with bioactive botanical nutrition to best support your brain health, memory and cognitive performance. ** We optimize this earth born herbal nutrition, and test it in our state of the art laboratories for 24% Ginkgo Flavone Glycosides. This critical quality assurance step ensures that you receive 14.4 mg of ginkgo’s active ingredient in each easy-to-swallow coated tablet.